A few years ago I attended my company's Christmas party and left with a white elephant gift named Would You Rather?. This is a game where players are asked "to choose between two uncomfortable choices". One example is "would you rather die drowning or suffocating". 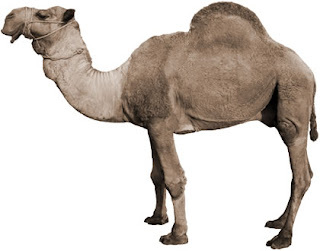 Another (more creative) example involved using a wood rasp to sand down the hump of a camel. If you're the kind of person who likes asking these questions, this game is a terrific idea. If you're not, it's not, and most people aren't. Consequently, the first party I took the game to was also the last. But I like asking questions like these. Well, I liked asking them. I always believed this to be the result of a healthy and natural curiosity. Initially Kelley indulged me. It wasn't long before she started to cut me off as I was explaining the options with a playful - but insistent - "I don't answer hypotheticals!". As her tone progressed to annoyance and then to hostility, I realized my curiosity was neither healthy nor natural. In the interest of domestic tranquility, I made a change. I've stopped asking these questions, but I'm constantly thinking of them. 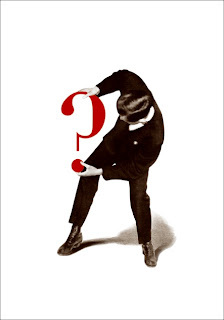 So it was with great enthusiasm that I learned about The Interrogative Mood: A Novel?, Padgett Powell's new book. Immediately I showed Kelley a book review. Her response was "It's you!" And then she reserved the book for me from the Brooklyn Public Library. Powell will be reading at 192 Books on Wednesday, October 21. I don't see how anyone would have a problem with hypotheticals. I'd rather ponder ahead of time what lengths I'm willing to go to to keep my family, friends, and body parts so that when I find myself in a Saw-like situation, I'll know how to handle myself. Have you thought that the reason for your twisted thoughts is that maybe ur just crazy? Not wild crazy, I'm thinking like sick crazy with a padded room. By the way what xmas party was this? Was it the first one after I left 2 years ago that was in the office? I'm with katie on this. I want to know what I'm capable of because the way my crazy head works, I want to be way ahead of the masked psycho who will eventually break into my house. Sometimes when I get home and it's really quiet I brace myself and pull back the shower curtain - I half expect to see someone there every time - to the point where it's almost a let down that nothing is there. That may be sick, but I like to call it preparedness.